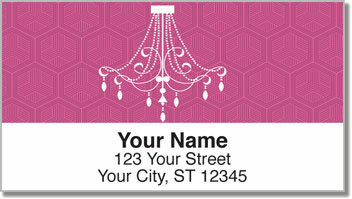 White line drawings of dining room chandeliers are superimposed on pretty pink wallpapers, lending a decidedly feminine sensibility to these striking personalized labels from CheckAdvantage. 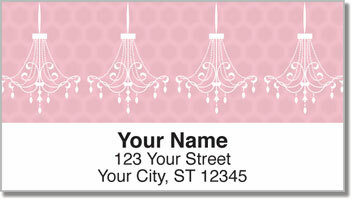 But our Chandelier Address Labels aren't for just anyone. For starters, you have to love the color pink. A generous degree of genteel refinement doesn't hurt, either! 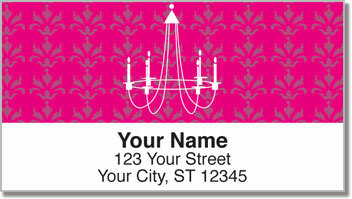 Let this one-of-a-kind design remind you of the most elegant dinner party you ever threw! 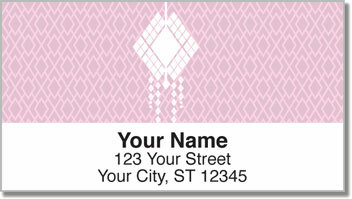 This delightful collection is also available as a set of matching personal checks. Order both of these custom home office accessories today!